Suffolk Equity Partners is a venture capital firm that invests in the most inventive, forward-looking entrepreneurs and growing disruptive companies to redefine experiences and improve how we live. Drizly is the fastest, most responsible way for smartphone users to get beer, wine and liquor delivered to their doorstep. Simply download the app to your smartphone and with a few taps of the finger, your favorite beer, wine or liquor is on its way, in just 20–40 minutes. Now you can farm out your beer run. Warby Parker is an American brand of prescription eyeglasses and sunglasses founded in 2010. Catalant is an online marketplace connecting businesses of all shapes and sizes with high quality consultants from top tier MBA programs. 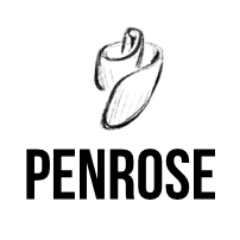 Penrose creates augmented and virtual reality stories. Makers of the VR film The Rose and I.
Homepolish matches you with the interior designer of your dreams, making it easy to love where you live. Splash is an full service branded event planning platform that offers a comprehensive suite of services to event planners. With content from the world's top bartenders, mixologists and owners, Liquor.com is the exclusive home for spirit and cocktail-related digital media. RapidSOS is the only way other than a conventional and unreliable phone call to reach first responders in an emergency. Offering the highest quality home textile products, Parachute takes your comfort seriously. Freebird empowers travelers to skip the line and instantly book a new ticket—on any airline at no additional cost—in the event of a flight cancellation, significant delay, or missed connection. Rockets of Awesome is on a mission to help the expectant working mother quickly and efficiently find the best products. A people-powered startup that uses AI to handle and automate tedious, repetitive tasks, while allowing skilled experts to focus their attention where it matters most. you to book rooms at the right hotels with the best rates. As the nation’s leading private coaching company, CoachUp is a digital marketplace that connects athletes with thousands of private coaches. ALEX AND ANI designs bangle bracelets, necklaces, earrings and rings that adorn the body, enlighten the mind, and empower the spirit. J.McLaughlin celebrates their continued success as uber-classic American clothiers and one of the country’s last great first-name-basis retailers. Paint Nite provides a creative experience with your friends while also enjoying a night out at the bar. Purity Organic is an organic juice and produce company based in Northern California offering a wide range of delicious organic juice products. Gelesis is transforming obesity and diabetes treatments. Learn how our smart pill (Gelesis100) can safely treat obese and diabetic patients. Tal Medical is a clinical stage medical device company developing an innovative, neurostimulation based treatment for psychiatric disorders. Clinically Superior Patient Warming. Patient safety is our passion. Augustine's air-free conductive fabric warms patients safely, effectively & affordably. At Lyndra, we aim to fundamentally change the way people take medicine. Through the development of oral, ultra long-acting, sustained release therapies, we hope to drastically improve adherence and efficacy. There are advantages to being an invisible giant in a virtual world. You can watch over a whole town or lean in to see the miniature protagonist’s face. You’re so big you never worry about something bumping into you, so you can get as close to the tiny action as you want. And it disarms the Swayze Effect — the disappointment that virtual characters can’t see or interact with you . . .
Catalant is using software to do something the consulting world has never seen before. Lyndra, a Watertown biotech that makes pills last longer with fewer side effects, closed a $23 million Series A round & prepares to launch first-in-human trials. Three years ago Noa Santos, then 24, was a recent Stanford grad with a B.S. in architecture and business, working for a high-end New York residential interior design firm on projects like a $25 million Southampton mansion . . .
Suffolk Equity Partners is an investment firm in Cambridge, Massachusetts. We’ve invested in many portfolio companies across consumer tech, digital media, e-commerce and life sciences. Our portfolio companies range from pre-revenue to cash flow positive. Delivering quality tailored medical apparel, with the grand objective of supporting global health care. Buy a set, Give a set. Connects athletes with thousands of private coaches & makes hundreds of training sessions happen every day. The only way other than a conventional and unreliable phone call to reach first responders in an emergency. A full service branded event planning platform that offers a comprehensive suite of services to event planners. As a General Partner at Suffolk, Freddie seeks to collaborate with entrepreneurs who are pushing the boundaries of modern business. Employing a "team first" approach, Freddie is focused on helping his portfolio companies reach their fullest potential. In his free time Freddie enjoys being a "Big" in the Big Brother Big Sisters of Massachusetts Bay program, and coaching defensive backs for the Phillips Andover Big Blue football team. He is also an Overseer at the Boston Ballet, an Advisor for Inner City Weightlifting, and a member of the BUILD Boston Local Advisory Board. We're always here to talk.